“ The finance Cloud software connects everyone and everything in order to drive production, quality control, improve productivity, and unlock your people potential. Enlarge a holistic, contextual view of your enterprise. 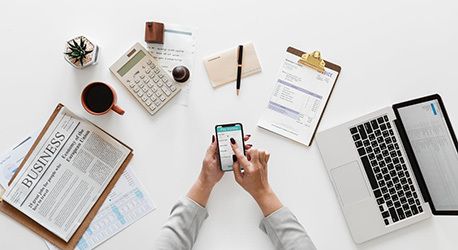 Finance management software provides businesses with a full suite of accounting functions to track daily operations and generate quarterly and annual statements. In an enlargement, it provides tools for reporting, analysis, budgeting, and planning. Flexible deployment options help control costs and meet changing organizational needs. Simple, intuitive browser-based access promotes citizen self-service. Effective workflow and process management and alerts deliver finance savings and efficiency gains. A comprehensive, intuitive system for financial management. Overall financial and managerial asset control with multiple reduction methods, and general ledger integration to reduce errors and increase efficiency. The essential reporting and inquiry tools that empower you to realize the wealth of data available and providing you a head start when planning and budgeting. Beyond the financial suite, finance365cloud advanced security module oversees access and acceptance by specific user-based controls so that your organization’s data is secure. Examine the performance of any branch in real time. Economic information is made readily accessible by branch down to the personal expense and income account level. Powerful finance software – simple enough for small business and comprehensive enough for complex multi-nationals – that can support your needs today and in the future. Module for all your assets—from laptops and mobile phones to vehicle and licenses. Maintain the full asset lifecycle, from acquisition to disposal. The Recovery automation management module enables customers to charge-off, collect on and outsource accounts from the Lifecycle Management Suite. Finance management software provides deep finance and accounting capabilities, real-time business insight, and always-on audit and internal controls. Close your deals faster with finance365cloud`s time-saving automation and workflow. Efficiently handle month-end projects with less errors. Obtain accurate, real-time clarity into business activities and performance with reports and personalized dashboards that access the shared, centralized database (single version of the truth). Join international markets efficiently with cloud multi-currency, multi-language, and multi-company capacities. finance365cloud - loan management software also allows localized functionality. Use finance management software to integrate financials across multiple business entities, including automated reporting, strengthening, payments, and cash management. Supports independent balance sheet and isolated tax reporting. Invest in finance app development to keep your customers close and your competitors faraway. An intelligent finance app not only help people track their business expenses but also make them smart. Customizable dashboards. You can also apply custom filters to make searching easier. It shows statistics of some important modules. View, Add or Edit loan with details. And set a reminder of the future transaction. Create and modify notification for future payment due. Or set an automatic reminder of future payment dues via SMS / Email. Access or view dynamic of multiple branches day to day or weekly, Monthly transaction. Easily get a report of each branch. Inbuilt functionality of automatic attendance. Using mobile application employee will directly do attendance with the help of location. Inquiry Management help in storing and managing all the inquiries that have come up and can also know the status of the inquires whether they went fruitful or not. Go paperless. eDocs will slash the labor required to process documents including invoices, remittances, statements and expenses. Don't burn valuable time and effort on unnecessary, repetitive admin tasks. Stop manually sending invoices, POs or remittances: the e-Reporting module sends them automatically. "I would like to express my sincerest gratitude to your company and staff for such a comfortable and constantly improving business software. Use your finance software to control my small business finance more than 2 years already, and it is really helps!" "This finance app is very useful, beautiful and easy to learn, Many many thanks to its creators!" "This finance management software is very easy to use with latest features. Great support received by team. Highly recommended software for finance business owners." "The team is clearly aware of our needs and of the needs of our Industry. In my opinion they are far ahead of any alternative product."